Relics was originally planned for a release back in 1997 alongside Biofilter. It was going to include the unreleased tracks from Biofilter and the old 1996 remixes. The artwork had been done, though the EP was never released. In 2011, Anthony thought it would be good to have a sort of Best Of album, so he did some remastering (and some surgery) on the original recordings from his old albums. Relics is the result. A few tracks were omitted as they were slated to appear on Cantonized and the 2012 Sampler. 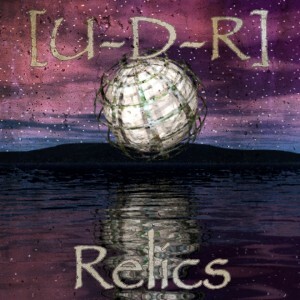 Anthony does intend to release a lot of the lost [U-D-R] songs from over the years, on a future Relics style album.